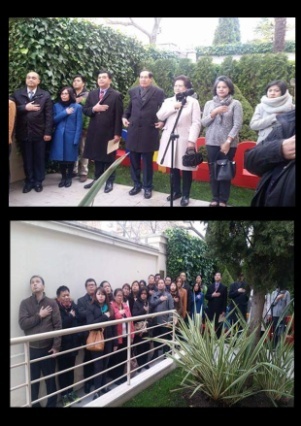 The Philippine Embassy in Madrid commemorated the 30th Anniversary of the EDSA People Power Revolution with members of the Filipino community through a flag-raising ceremony at the Embassy´s Jardin Rizal. Flag raising ceremony with the Embassy personnel and some members of the Filipino community. 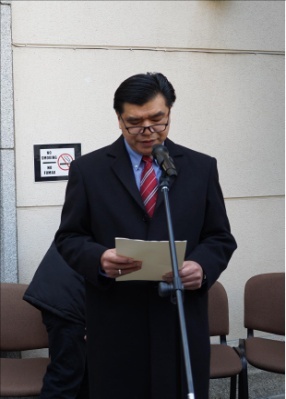 Consul General Fernandez reading the President’s message. 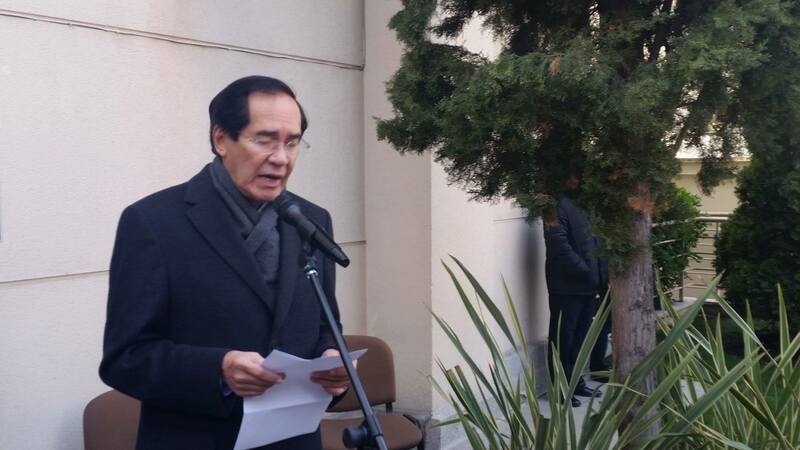 The flag-raising was followed by a reading of the message of President Benigno Aquino III by Consul General Emmanuel R. Fernandez. Ambassador Salinas delivering his message. In line with the official theme of this year´s 30th Anniversary of the People Power Revolution “Pagbabago: Ipinaglaban Nýo, Itutuloy Ko!”, he said that the youth of today must remain aware of the victory won by EDSA for every Filipino and should protect the fruits of the EDSA People Power Revolution. Ambassador Salinas pointed out that the steps that “led to the Philippines becoming an emerging force in Asia all started in EDSA”. The ceremony ended with a live singing of Handog ng Pilipino sa Mundo” led by tenors Florencio Aliganga, Nicanor Hidalgo and Wilfredo Hidalgo. 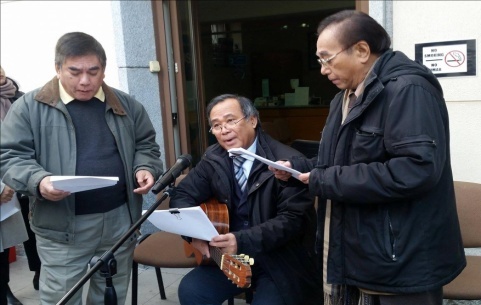 Filipino tenors (L-R) Mr. Wilfredo Hidalgo, Mr. Florencio Aliganga, and Mr. Nicanor Hidalgo. Breakfast was served as participants viewed an audio visual presentation on the said revolution.